In 2008, the business expanded to include a car and marine audio department, setting the standard for award-winning sound. In 2010, the brothers decided it was time to move into a 22,000 sq. ft. building, a place where they could continue to innovate, create and customize beyond others expectations. With the purchase of the new building, they also joined forces with CARSTAR Collision & Glass services. This allows them to offer their top notch quality and luxury work; as well as facilitate the collision industry with their exceptional customer service. 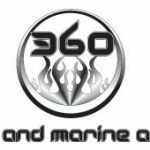 In the seven years of doing business, 360 Fabrication Inc. has already won thousands of awards throughout North America. These include many “Best of Show” awards, the “George Barris” award twice, The “Good Guys” award in Washington State, the “Chamber of Commerce Service Excellence” award in 2010 and the “Best Modified Luxury & Modified SuperCar Class” at the Van Dusen SuperCar show in 2013… These are just to name a few. Although we are very appreciative of each recognition we have received, we are especially excited to announce that we were named Bodyshop Magazine’s 2011 Custom Refinish Award Recipient. Rick is recognized and rated as one of the top auto body technicians in the industry. His 33 years of experience began with following in his father’s footsteps at a very early age. 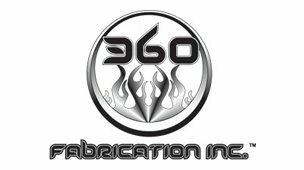 His passion for building cars and his ability to customize them has inspired Rick to create 360 Fabrication Inc.